Another in my series of ten year old photos; here’s March 2008. 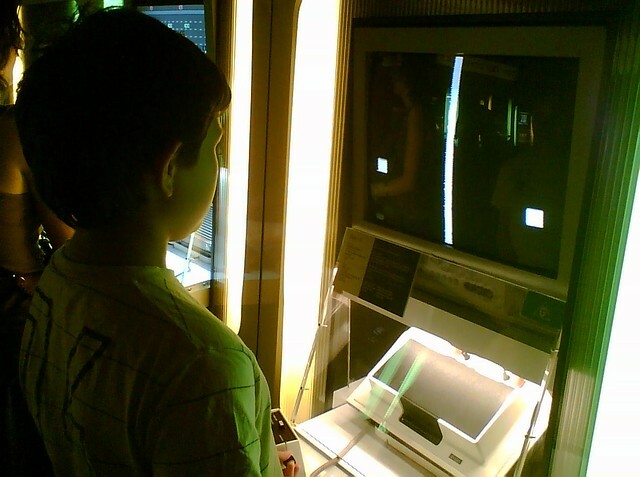 ACMI’s Game On exhibition had some great old games to play. 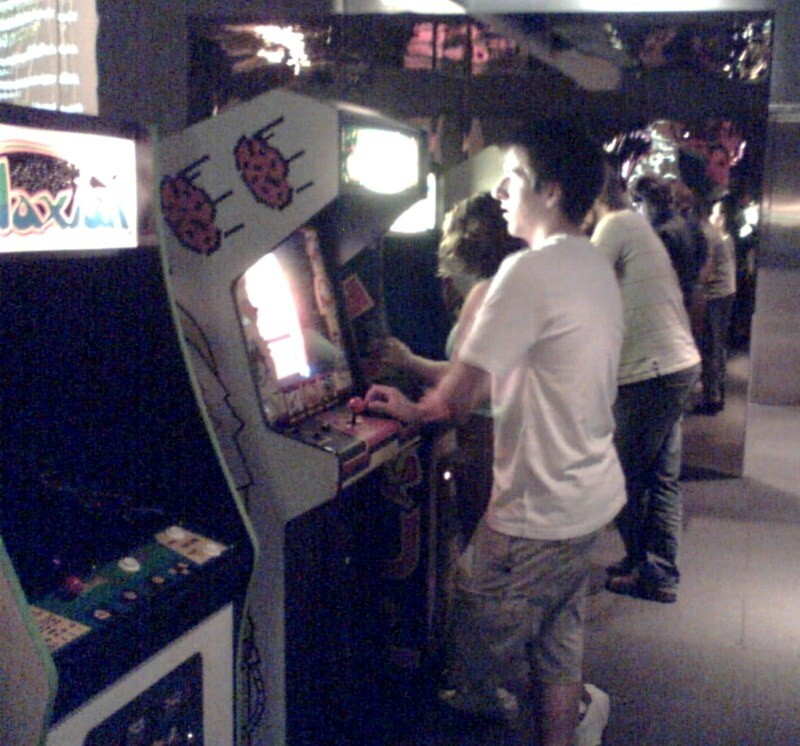 Here’s son#1 Isaac playing Pong. 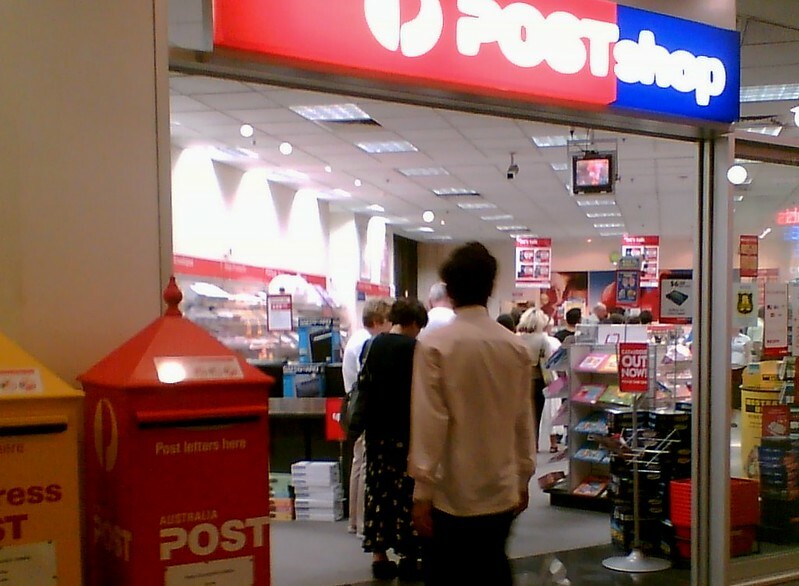 The old post office in Emirates House, off Collins Street. Queue out the door again. Sigh. 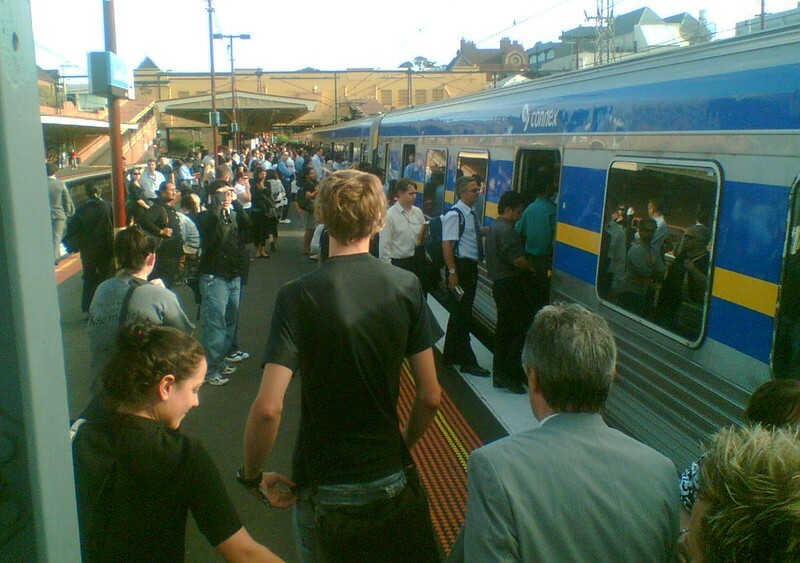 Speaking of a queue out the door, 4/3/2008 was not a good afternoon for then train operator Connex. 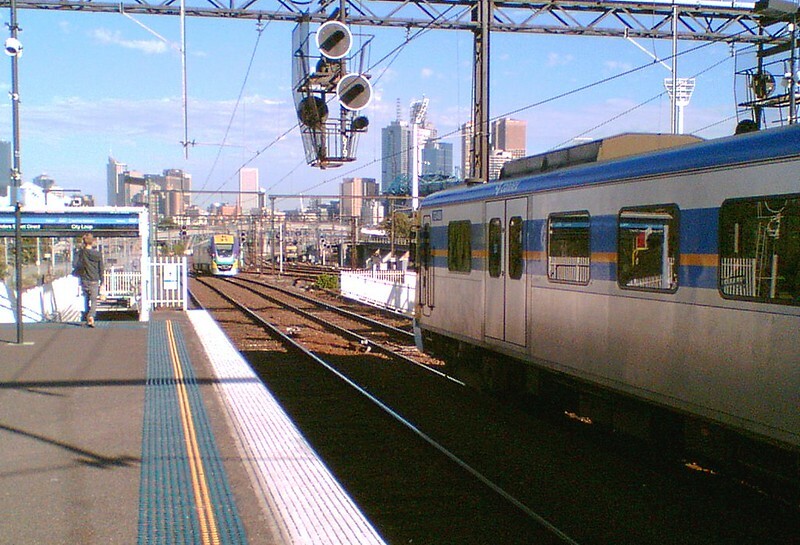 This is at South Yarra. Note the bloke with a Harry Potter book. 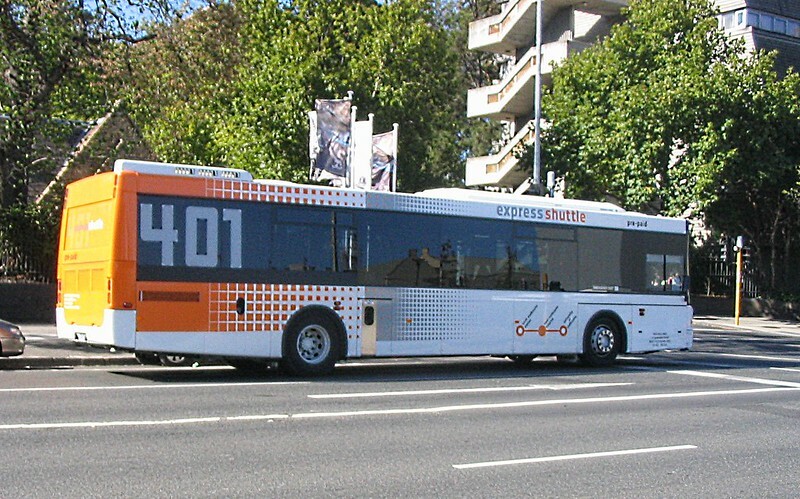 The 401 shuttle from North Melbourne to Melbourne University was announced in October 2007, and started service in this month, in March 2008. 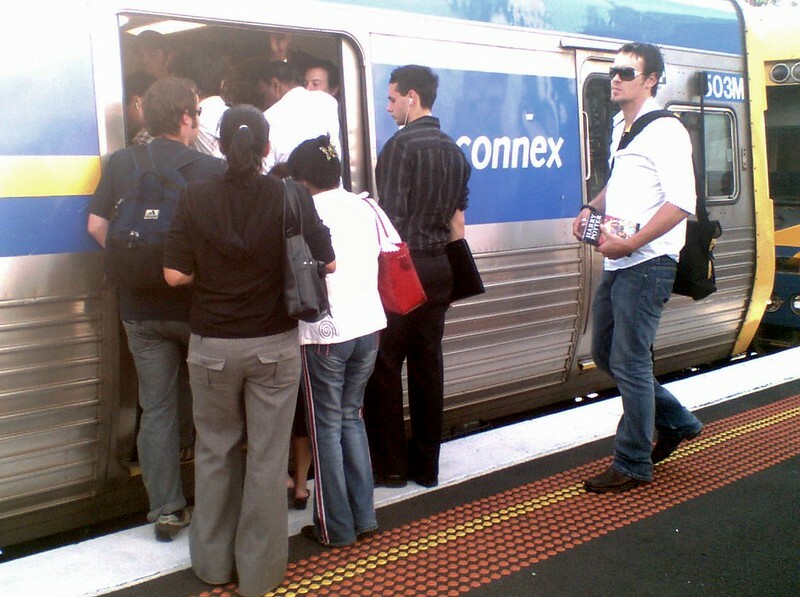 It quickly became one of Melbourne’s busiest bus routes, with about a million boardings per year. 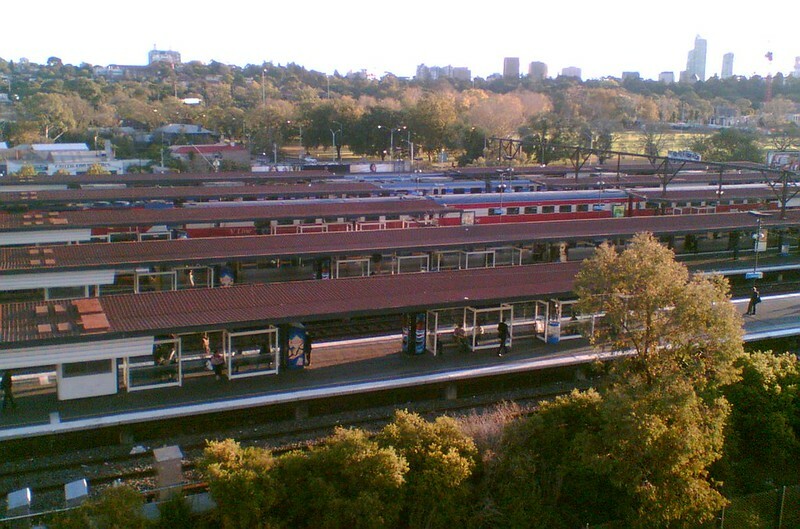 North Melbourne station (as of 2018, to be renamed West Melbourne in the next year or so). You can see in the background that construction of the new concourse was just getting started. 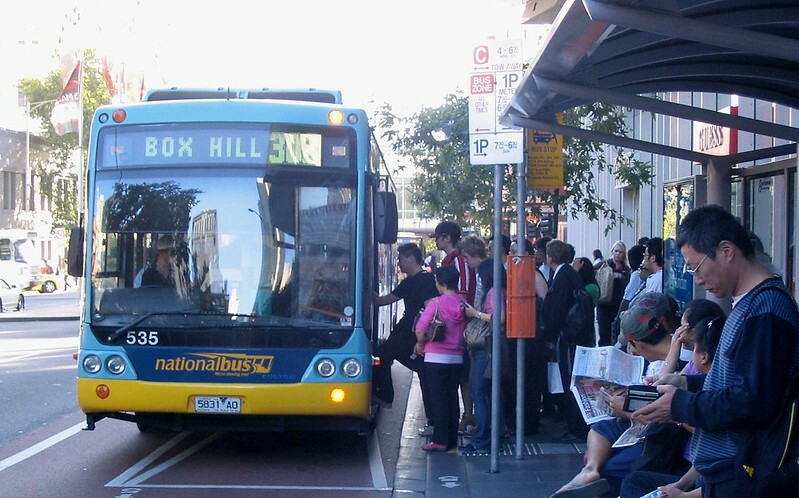 The outbound bus stops outside QV have been very busy at peak times for many years. This is before current operator Transdev took over from Ventura/National Bus. Note the parking sign – outside peak times, some of the bus stops are re-purposed for private vehicle parking, even those right in front of the bus shelters — surely a slap in the face for waiting bus passengers. Not sure that’s ever been fixed. 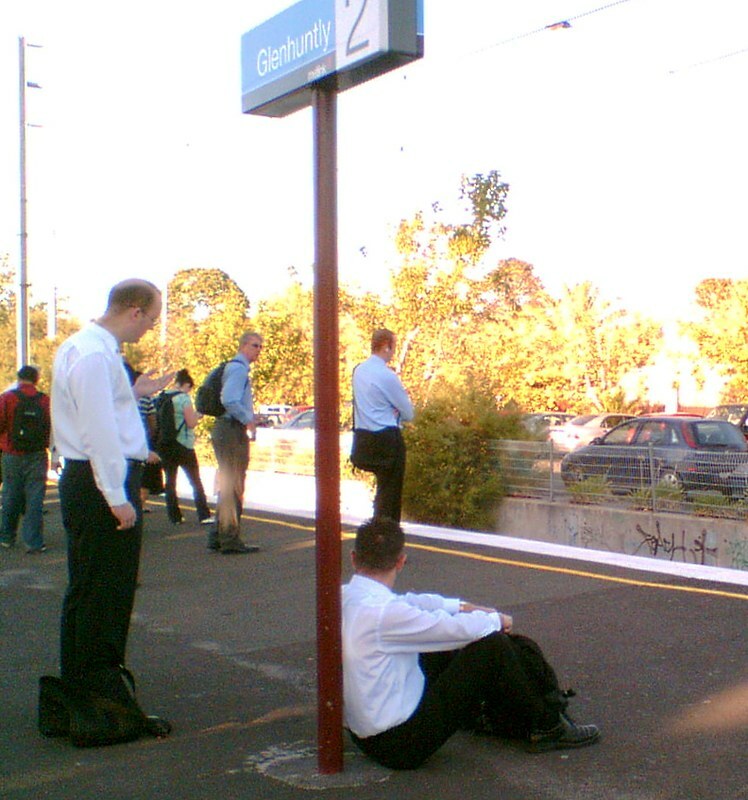 How long until the train? Sometimes you just want to sit. 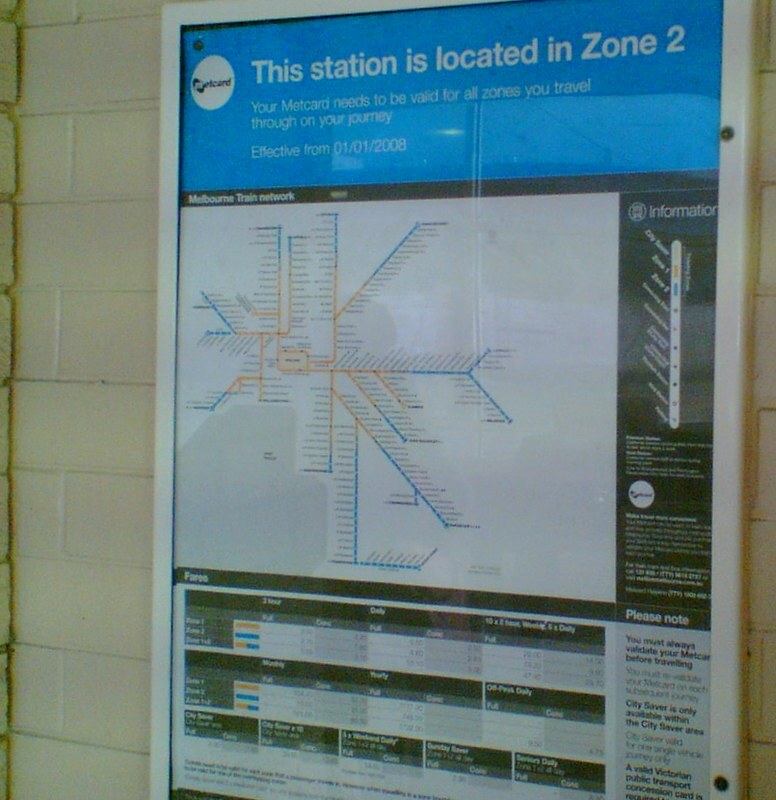 I think I took this photo because it was at a station that is not in Zone 2, at least not only in Zone 2. From the cream paint, I think it might be the pre-level-crossing removal Ormond station, which is in the zone 1+2 overlap. No GPS record on the phone photos from back then. 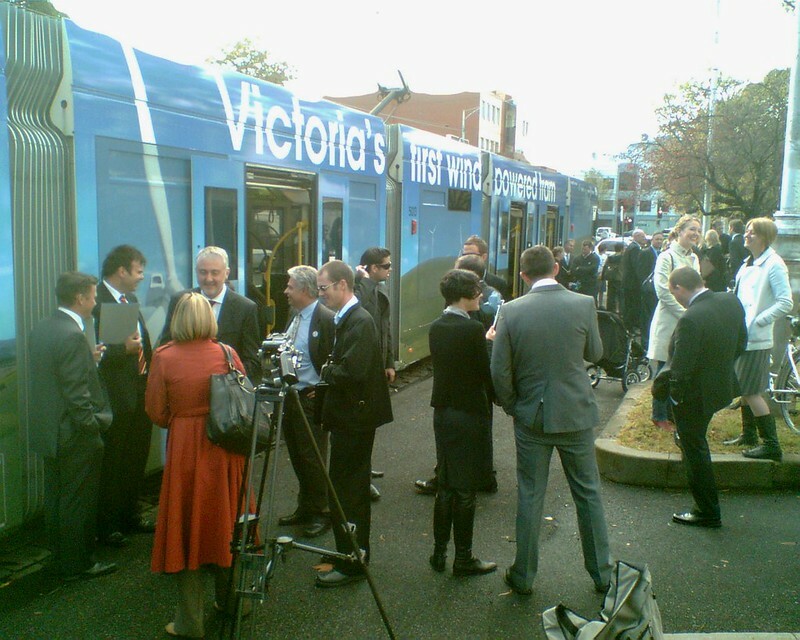 Launch of the first wind-powered tram, 28/3/2008. In the crowd I can see the then-CEO of Yarra Trams, Dennis Cliche, and several journos, as well as Gavin Jennings, then State Environment Minister. 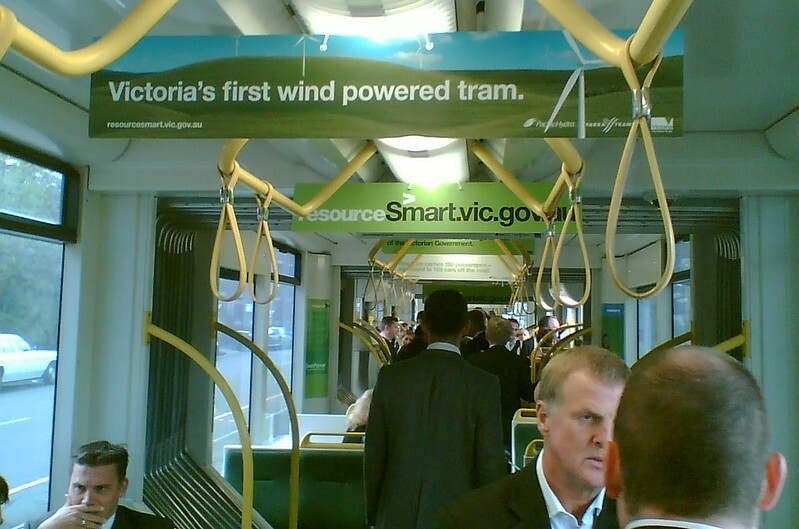 More recently it was announced that all of Melbourne’s trams will be powered by solar by the end of 2018. Trains bank up at Richmond station, well before it got weather protection right along the platforms. 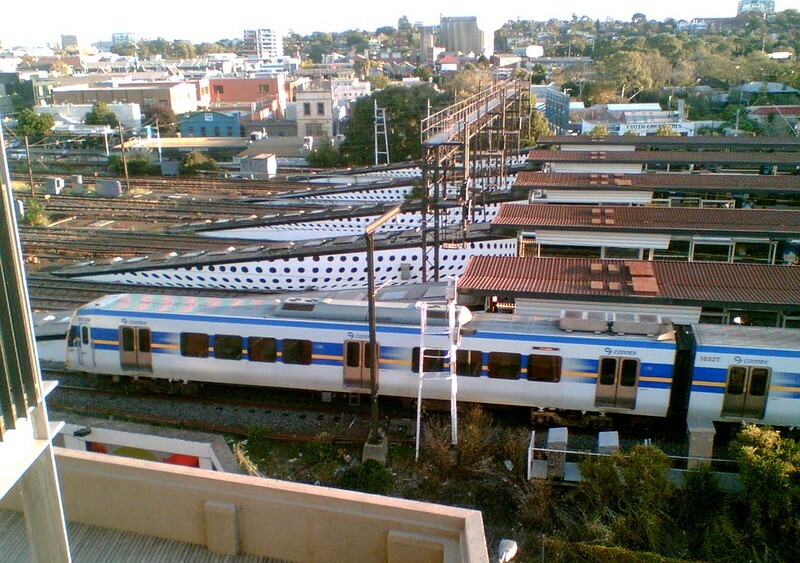 Richmond station from above, snapped from a brother-in-law’s then flat. Nice view, especially if you’re a trainspotter. There were some evening shots as well, but they’re all blurry – the old Nokia 6230i didn’t do at all well in low light. 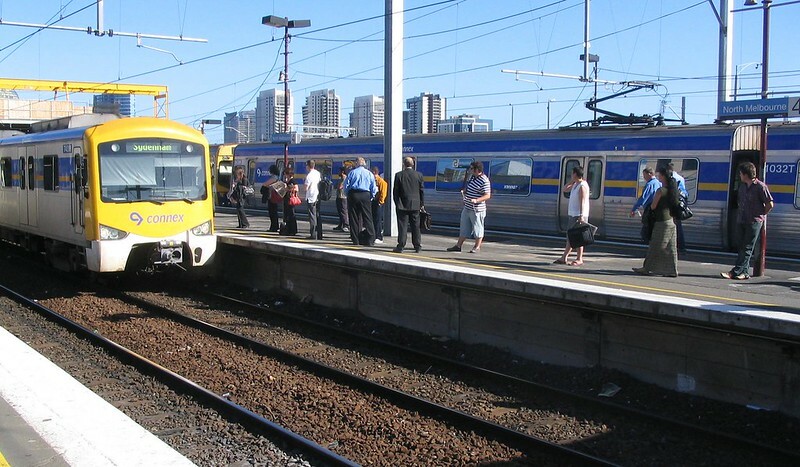 ← Previous Previous post: Public transport compo: what is the threshold? I still find the general lack of seating at stations a bit troubling, especially when a 20 minute frequency is the norm on most lines. I wonder how much it cost PTV in today’s dollars to build each bench.